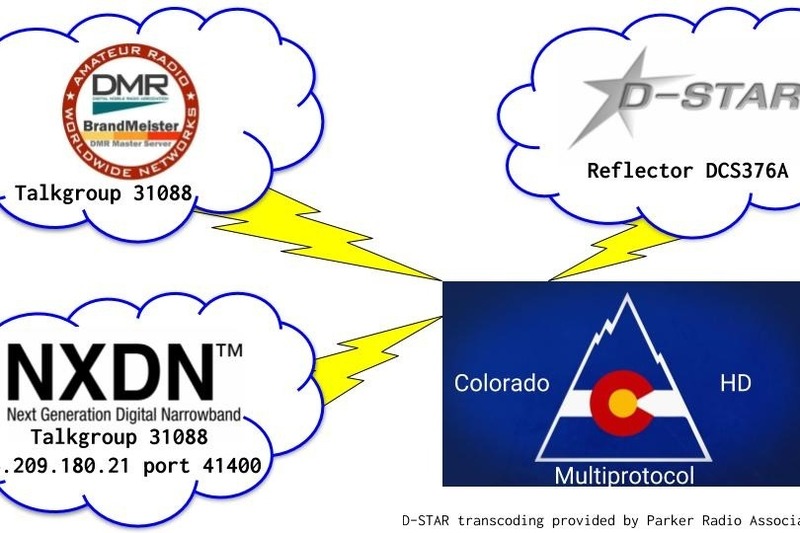 A group of Colorado Hams are coming together to set up our own multiprotocol transcoding server. This server will interconnect DMR, D-STAR, NXDN, All Star, and YSF. Currently we are piggybacking on Parker Radio Association's transcoding server XLX376, but we need to set up our own to expand our system. Our server will also have extra modules that we can provide to others who want to set up their own multiprotocol systems. Thanks for considering this project. We're getting close to ordering the server we need! We were able to get more donations at the BARCfest the other day, and I was able to sell a radio which brings us closer as well. In addition to the server, we'll need to order the DVStick AMBE hardware for transcoding, a network switch, and some rack hardware to hold the server. For the next update I'll write a new blog post with more details. In the meantime, thanks for reading!